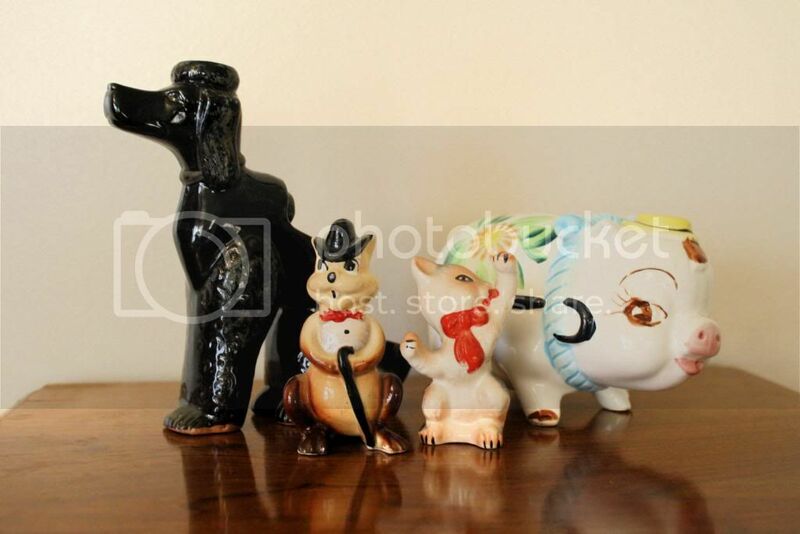 I have to admit that I’m actually on a self-imposed thrifting ban this week. I went to the antique space last weekend with Phillip’s mom, who was nice enough to help me move in a new bookshelf since he had to work that day. After seeing yet again how much stuff we have on the shelves in there, as well as the extra things we stuffed into the drawers of the dresser (oh, and the ones that still haven’t made it out of our house!) I decided I HAD to let things thin out a bit before buying any more. My goal is to go at least a week without setting foot in a thrift shop. So far so good- though it’s straining my willpower a little bit. But don’t worry, I have plenty of finds to share from the last couple of weeks! 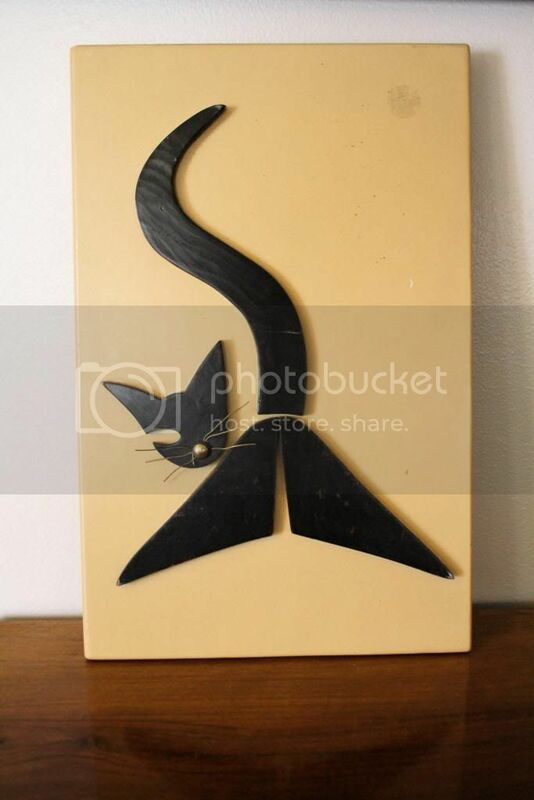 An interesting piece of cat-themed art. 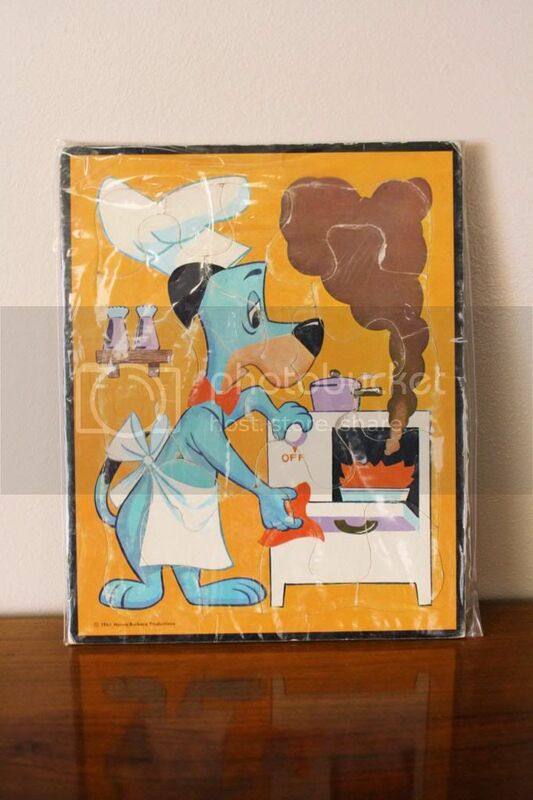 A vintage children’s puzzle with Huckleberry Hound. 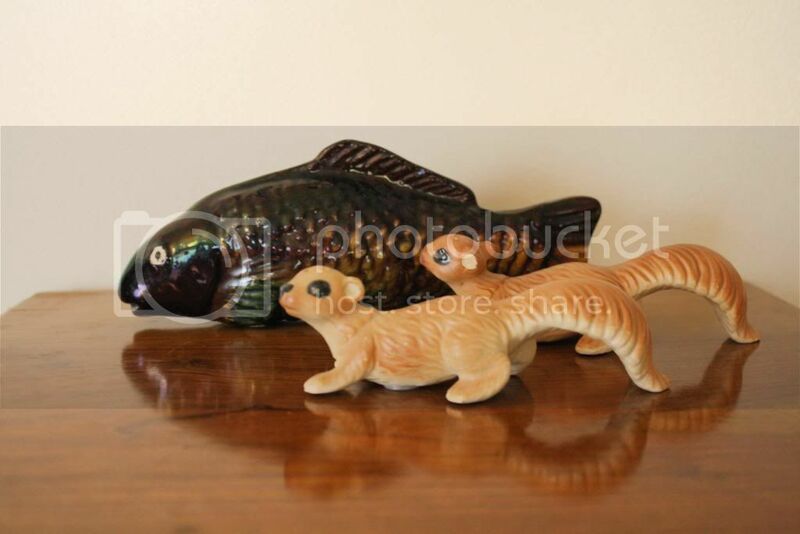 A ceramic fish and a pair of squirrel shakers. A pair of ballet dancer prints and a black floral dish. 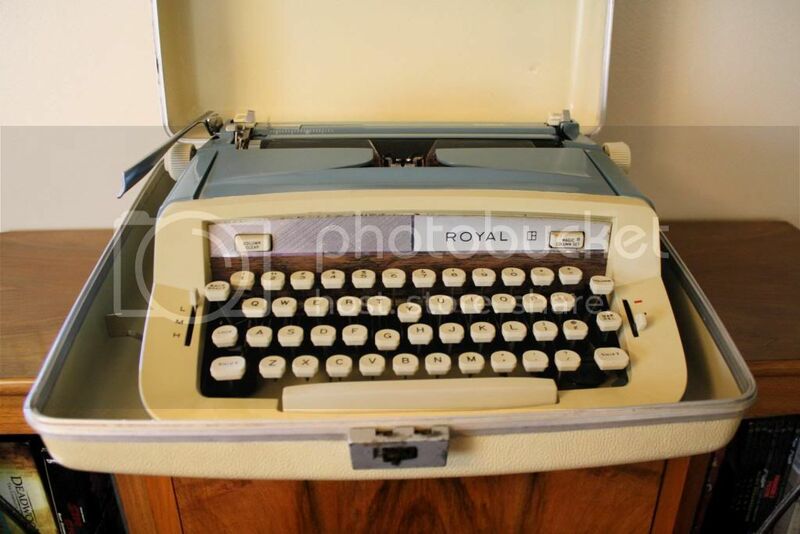 This adorable white and light blue typewriter. 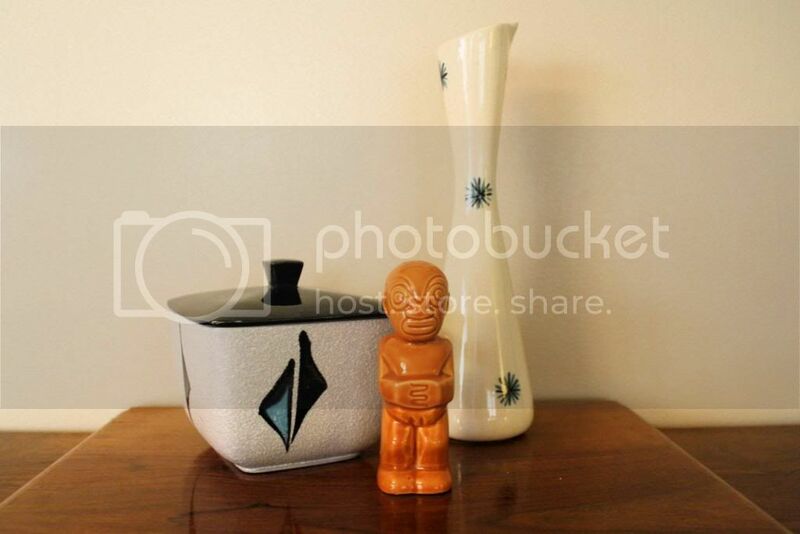 A mid-century modern box, a Trader Vic’s shaker (only one, unfortunately) and a cool starburst vase. 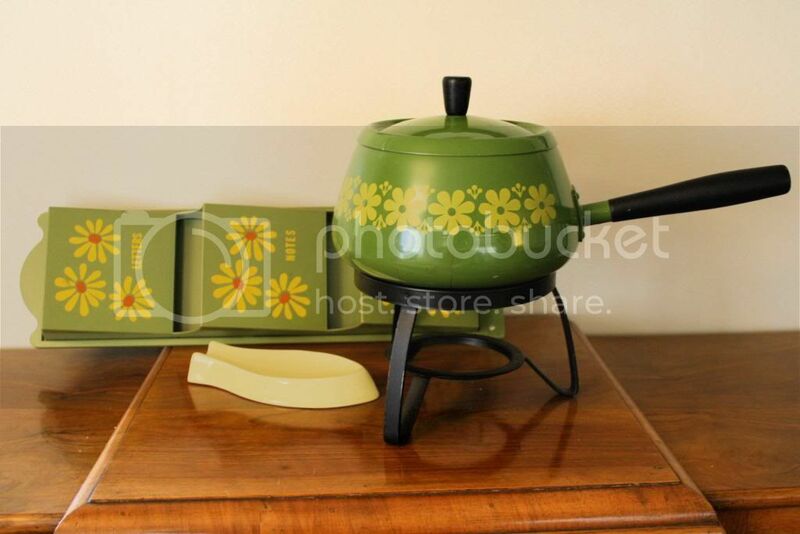 A green and yellow fondue pot, a letter holder, and a fish spoon rest. 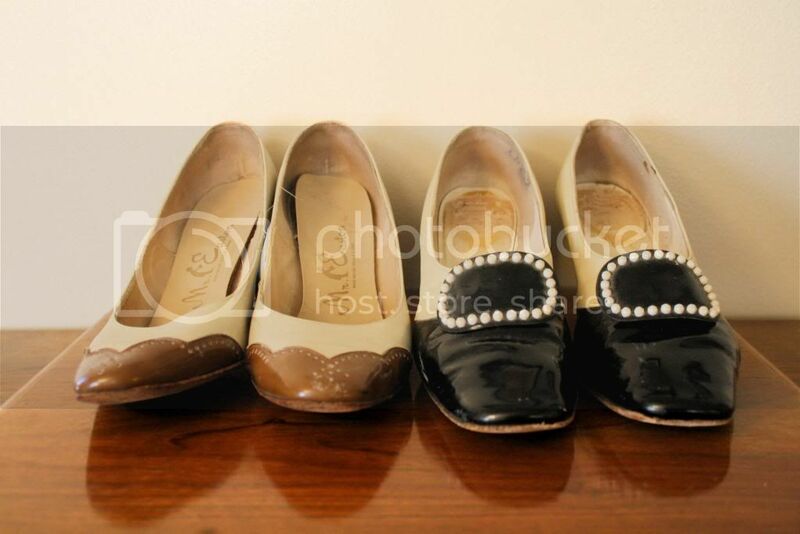 A couple pairs of vintage shoes. 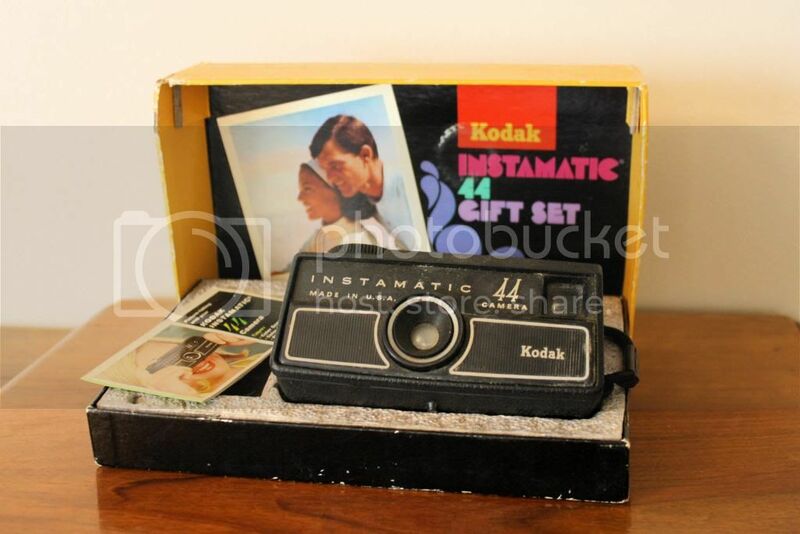 A 1960s Instamatic in the original box. 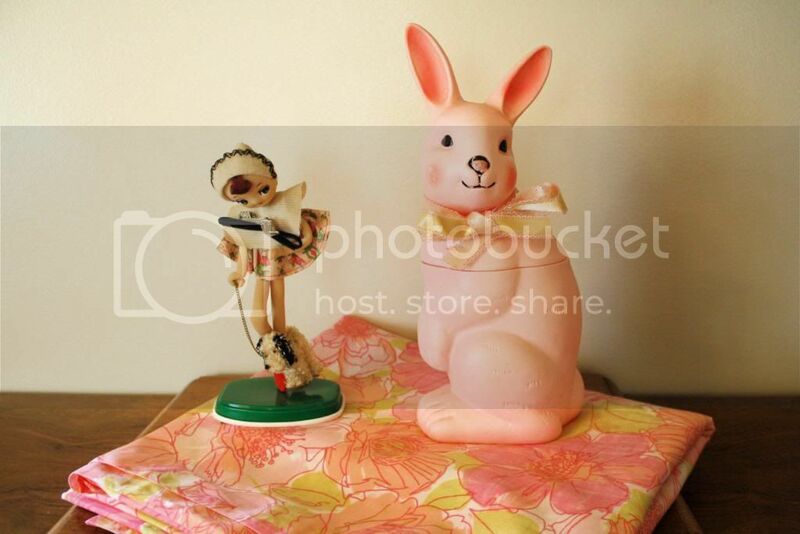 And last but not least, another bunny just in time for Easter, a girl walking a dog, and another set of vintage sheets to sew with. Thanks for visiting! 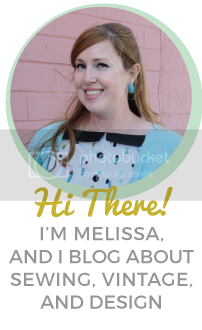 I’ll be linking up my post at Apron Thrift Girl, A Living Space, Sir Thrift A Lot, Joyful Treasure Hunting, and Young Heart. 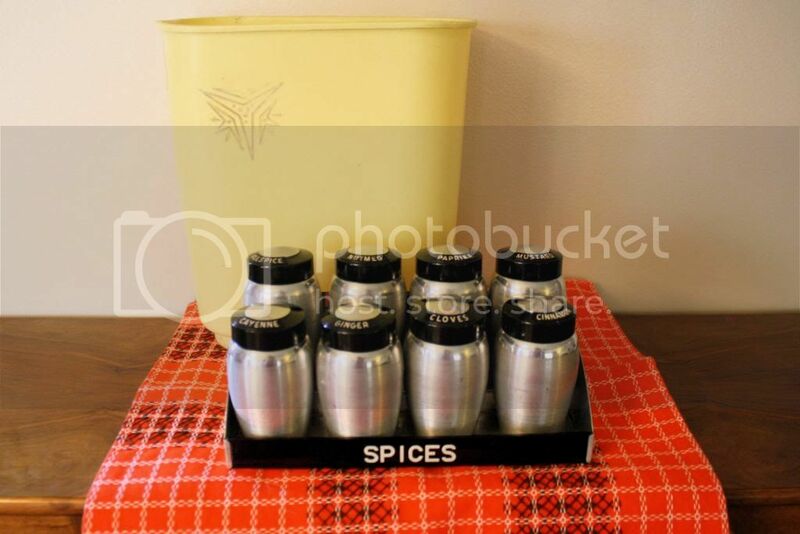 Head on over and check out all of the finds for this week! ← Let’s Be Friends on Instagram!